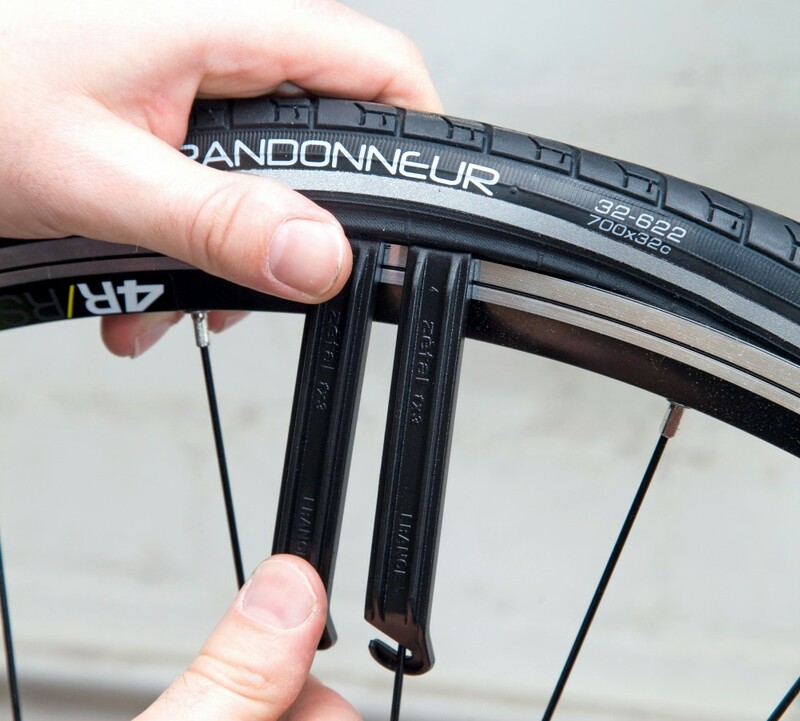 If you puncture you’ll need an implement with which to fill your replacement inner tube. If you can’t do this you face the indignity of getting a cab or train home. Or, worse still, calling your partner/parent/sibling to come and pick you up. There are two options here – a pump or a gas canister. The best pumps are frame fit. The longer, larger barrel means you can push more air with each pump. 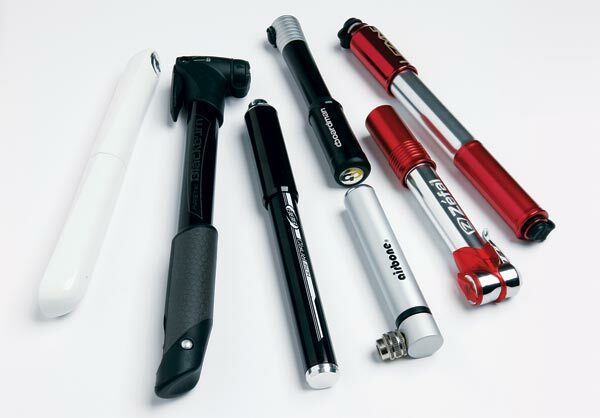 The mini-pumps are much easier and lighter to carry. Gas canisters are the quickest, inflating the inner tube in a couple of seconds. Beware, the canister will freeze when the CO2 rushes out, so if it’s not covered, then make sure your hands are. One inner tube is a bare necessity. Two is better still. Three might be overkill. Who knows how many times you may puncture on a ride. If it’s a short ride (under one hour) one tube will probably suffice. If it’s a long wet day out, you could need more. Basically it’s up to you. Just remember, there’s nothing more annoying than to be asked ‘you don’t have a spare tube, do you? I forgot mine.’ Be a good cub scout and go prepared – and remember you’ll need long valves if you have deep section rims. If you’ve got very strong hands and tough skin on your fingers, well done you. If not, you’ll need tyre levers, at least two. Slide one under the bead of the tyre, then put the second one in a few inches along the rim. Hold one in position while sliding the other one around the wheel rim which will release the tyre. Whatever you do, don’t put the tyre back on the rim with the levers, you’re likely to pinch the tube between the lever and the rim. This should be done by hand. There’s a lot that can go wrong with a push bike, and the chances are they’ll go wrong when you’re at your farthest point from home. Nine out of ten things can be fixed with a four or five millimeter allen key. That one other time you’re likely to need something else. 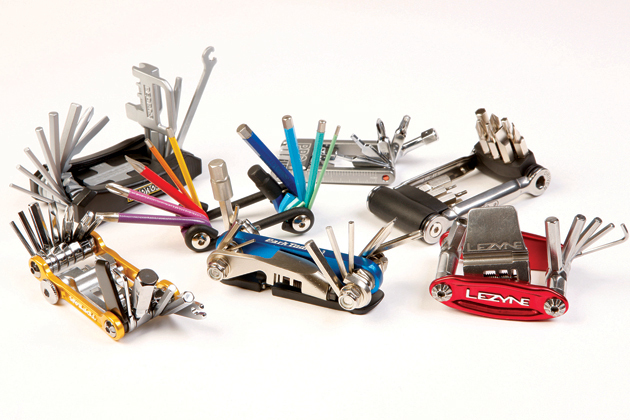 Your best chance of having the right tool is to carry a multi-tool with a selection of items. The smallest, lightest ones will have few tools, the bigger ones will almost allow you to strip and rebuild a bike by the road side. 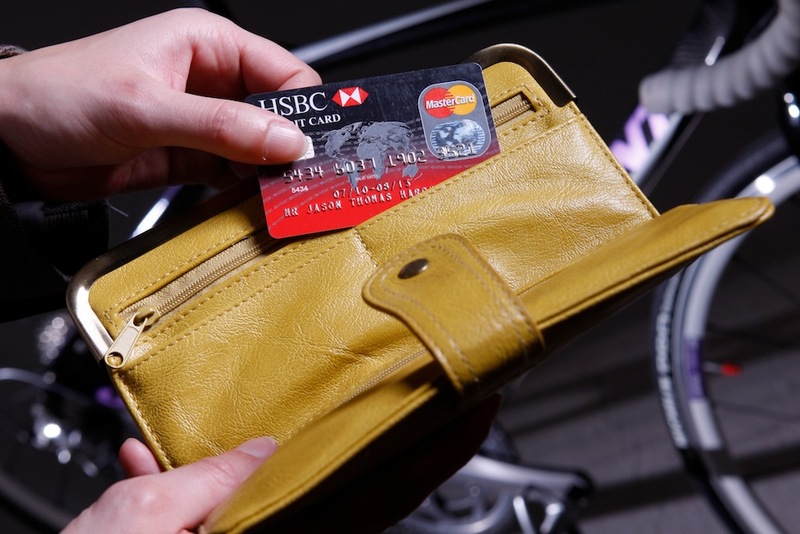 Which one you carry depends on the amount of carrying capacity your jersey and saddle bag have and the technical knowledge you have to wield said tool. We’d recommend one with allen key options and a chain breaker. If you’ve only got room for one inner tube, or you ride over tacks in the New Forest, you could find yourself stranded. 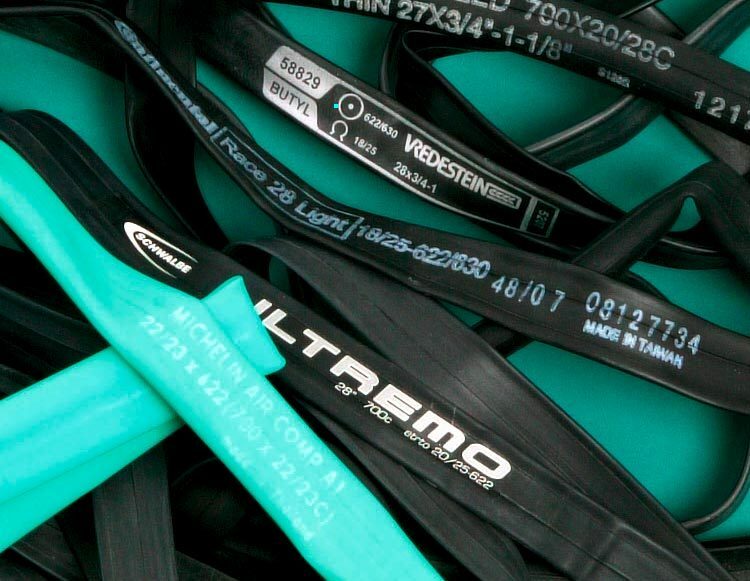 A packet of emergency patches will of the job of a dozen inner tubes if you hit real problems. Better still, you can give one of them to the rider who has forgotten to bring a spare tube. There will be times when an inner tube won’t suffice. 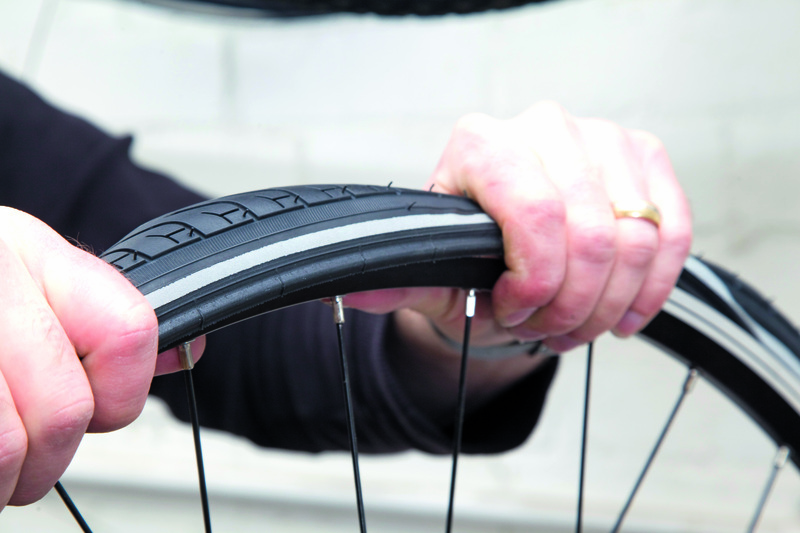 If a tyre gets a big hole punched in to it, slit or cut, the inner tube will bulge out. 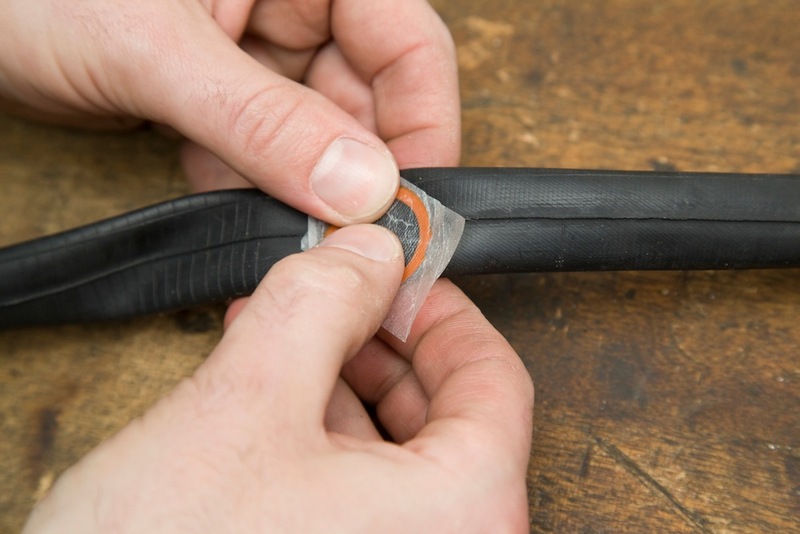 An old strip of tyre – about six inches long – with the side beads cut off will fit between the tyre and inner tube is a better option than a sticky old gel wrapper from your back pocket, and will fit easily in your saddle bag. Cut up an old tyre though, not a new one.